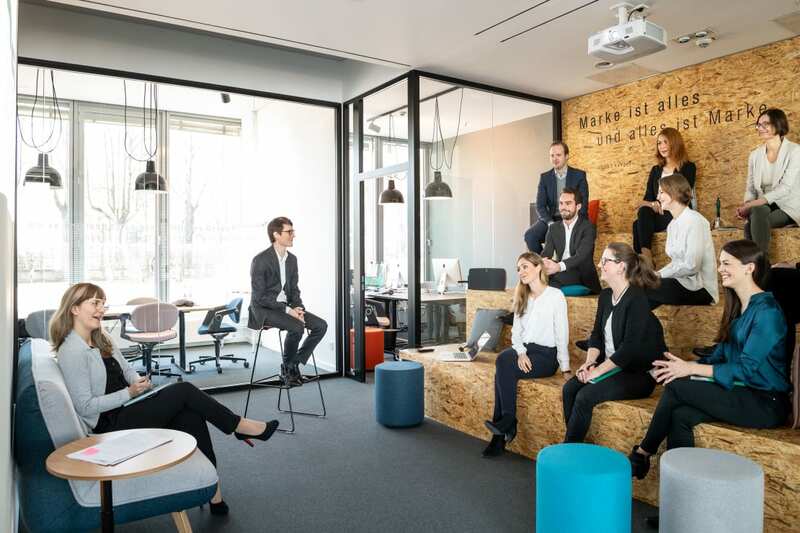 Space for teamwork and brainstorming sessions, but also opportunities for privacy: the new working environment for GMK Markenberatung is designed to provide optimum conditions for the working methods and processes of the team, which consists of about 20 people. 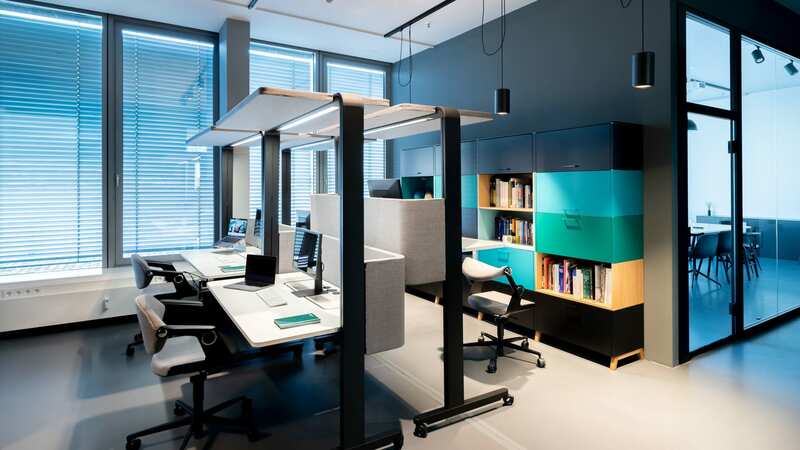 GMK developed the office design in close cooperation with König + Neurath. The most important tool in the planning process was the WORK.CULTURE.MAP, which was used to analyse and visualise their work culture, both as it was before and their target. To arrive at this point, employees had to evaluate seven dimensions that describe the work culture in their company, for instance whether they prefer a stable or dynamic working style in the “Agility” category, or whether “Work” and “Life” are clearly separated or merged. The target for GMK’s work culture – visualised thanks to the WORK.CULTURE.MAP – became the planning basis, which was then translated into a customised floor plan and populated with appropriate furniture. The result is inspiring: there is diverse space available to allow multiterritorial working, which meets their requirement for a high level of agility. Employees can choose different scenarios – congregating in private meeting rooms or the open “BRAND.hangout”, a kind of stage made of OSB board, sitting on felt cushions for a slightly less formal gathering. Anyone who wants to make a private phone call can retreat to the QUIET.BOX. Analytical and creative working needs space for concentration – but also for interaction. Everyone has intentionally been allocated a permanent workstation, so that each team member has their own home within the office to reflect their identity. 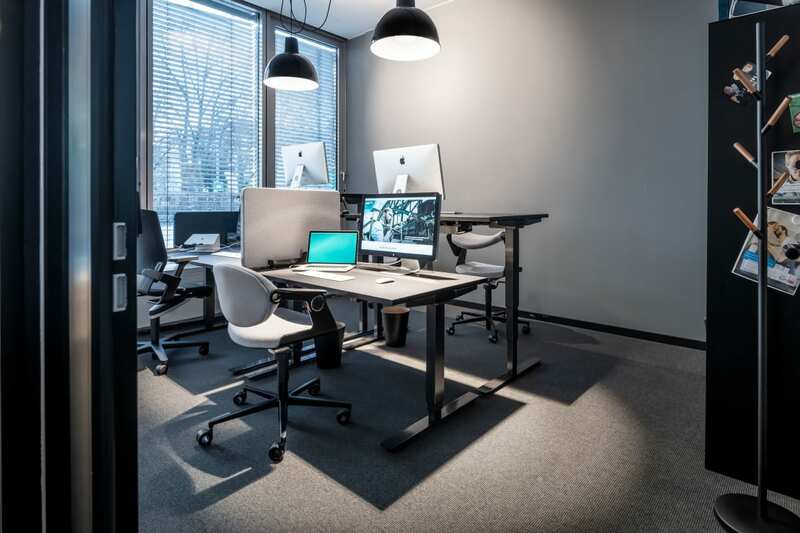 Employees also benefit from furniture that promotes mobility – with the height-adjustable ACTIVE.T desk and the K+N BALANCE.CHAIR, which converts to a standing support in a couple of movements. König + Neurath has supported us from start to finish in our quest to reflect our processes through our outfitting. The spatial experience is characterised to a large extent by the HORIZONTE glass partitioning system, which allows daylight to flood throughout the 315 m2 space. The transparent character of the room supports the team’s open and communicative approach, a central aspect of the work culture there. König + Neurath has supported the entire process closely, from analysis and planning through to installation. The result is not only a working environment that facilitates a new way of being together, it’s also a motivating environment with which employees can identify – and that over the long term.